lolz. that comment was one of the funniest ive heard all year. anyhow, if youve ever been in downtown LA, or even nearby in the suburbs, or even watched an LA-based TV show or movie, this sign is something you may have seen. so, just how did a bigass sign like that get put up in the middle of a city teeming with people who have different beliefs of who ‘god’ is? Comments Off on jesus saves. moses invests. my own personal cell phone battle: fight! so, a while back, because of android’s relatively new foray into the world of pocketable device operating systems (smartphones, tablets, etc) , i bashed it.. mainly for the fact that its power management characteristics were not on par with iOS devices. lets face it, how often do you have to charge an iDevice vs your android based one? sure, depends on use, but if it just sits on your desk all day and you dont use it much, i can almost bet that the android would have needed a charge sooner. now, its not to say i was an iOS devotee, no. i liked the simplicity of it, and the fact that it was tightly integrated with the hardware it ran on. however, it did have its shortcomings… lack of a widespread carrier, software dependent media and info sync, the list could go on. but the bottom line was that the iphone, ipad, ipod touch… all worked perfectly out of the box for most users. there wasnt a need to have to customize, say, your sound profiles every time you needed to silence the phone. that said, i switched… several times over the past few months. not only carriers, but devices. 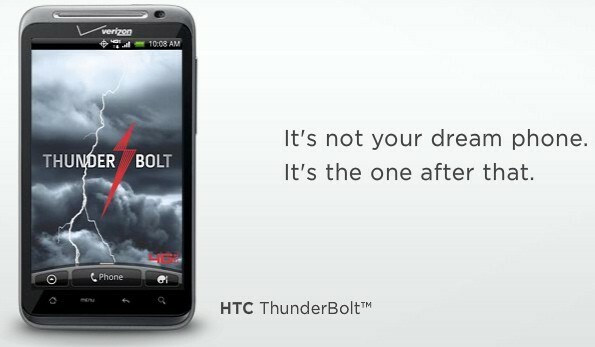 ive gone from a blackberry, to an iphone (both carriers), to *gasp*… an HTC Thunderbolt running… android. and guess what? not only has the android OS been patched enough (gingerbread rocks) to allow nearly a day’s worth of combined use and standby (reducing my complaints about that), i have to say this OS is faster, and gets all the basic functions i asked of iOS, done in less time. simply put, i like this thing. theres a quirkiness to it, that seems to fit in line with what i do every day as my career, but it still gets out of my way and does what i ask it to. being on VZW’s 4G network doesnt hurt it, either. Comments Off on my own personal cell phone battle: fight! id love to have one of these bowling balls… if i’d ever bowl. tired of the rat race? ever hear of hustling for yourself instead of letting someone else higher in rank take credit for all your unrecognized, hard work? sure. everyone, at some point in their life, does. MORE illustrates just that. however – its not to say that youlll be happy in the end.